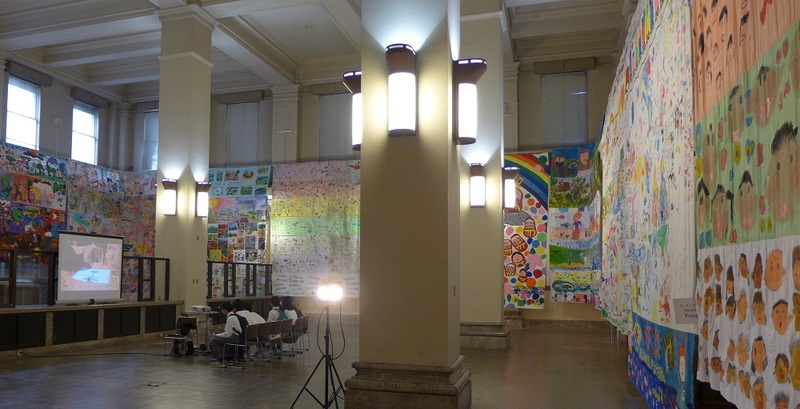 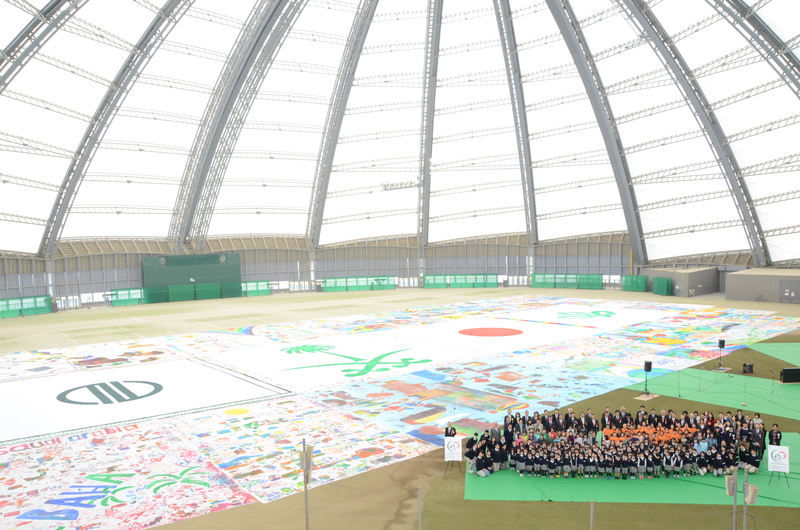 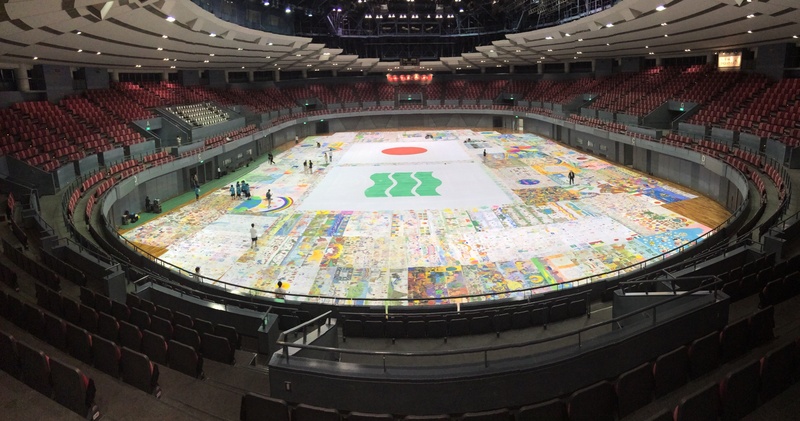 The Biggest Painting in the World 2020 Mihara City was completed at Mihara Primary School in Mihara City, Hiroshima Prefecture. 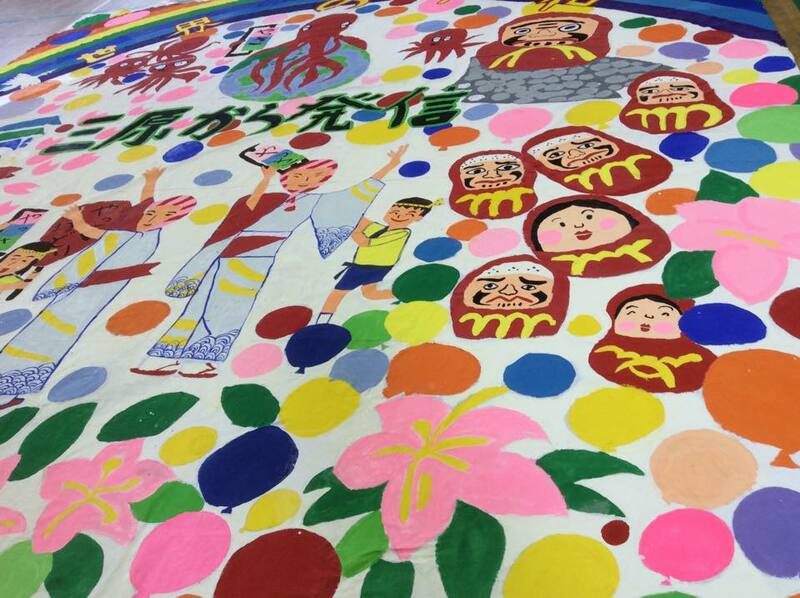 I could not visit the school to receive it due to my overseas trip and Ms Masako Kusuba and Mr. Ishibashi, member of Hiroshima Prefectural Congress, attended the really impressive celebration they held for the occasion. 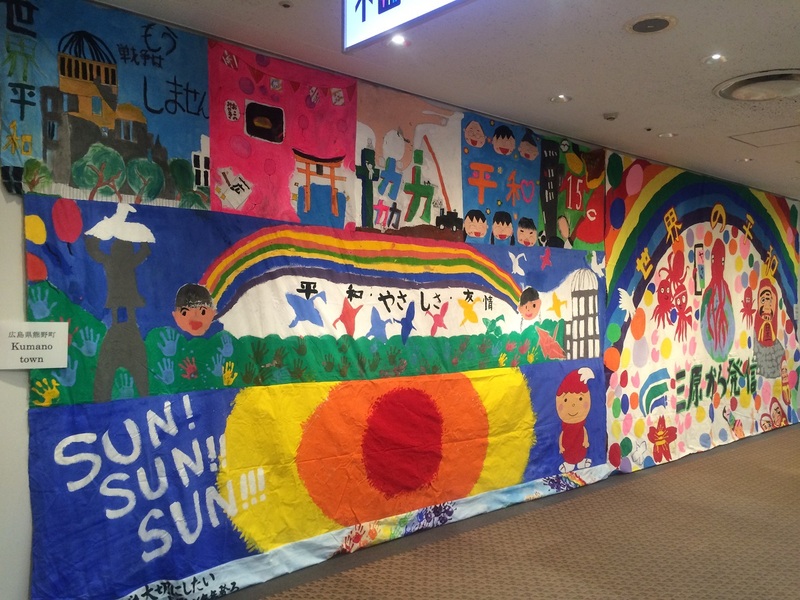 Our thanks to Mr. Ishibashi for his cooperation. 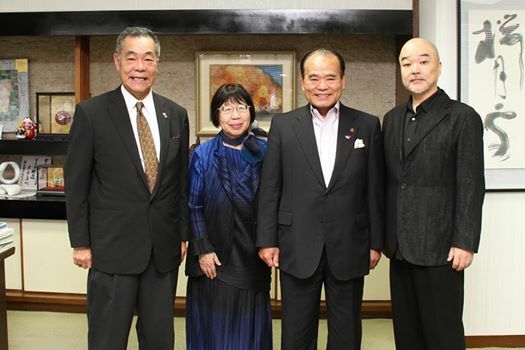 Visited the Mayor and the Director of Board of Education of Mihara City, Hiroshima Prefecture, accompanied by Mr. Ishibashi, a member of prefectural assembly of Hiroshima, and Mr. Kozakura.